Financially troubled Air Zealand is today reeling from a new blow affecting not only its international sales on flights through Sydney but also its subsidiary Ansett Australia's domestic flights. Sydney international airport taxes have suddenly almost doubled. From AU$38 total they will suddenly become AU$73.10 from Monday. 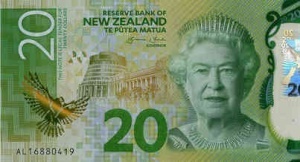 This comes to nearly $100 in NZ dollars. For Ansett Australia this will be a major new disadvantage in the domestic Australian market because it has flights which leave from Kingsford Smith International Airport in Sydney. Air New Zealand will find it harder to market Sydney as a destination or stopover point. Passengers on flights 800 to 899 of Air NZ subsidiary Ansett Australia, along with those on some Qantas domestic flights (1-399), will be liable for a new tax of AU$17.55 each way if travelling in or out of Sydney International Airport. The new tax applies on all tickets issued from next September 10th so passengers ticketing before that can avoid the tax.